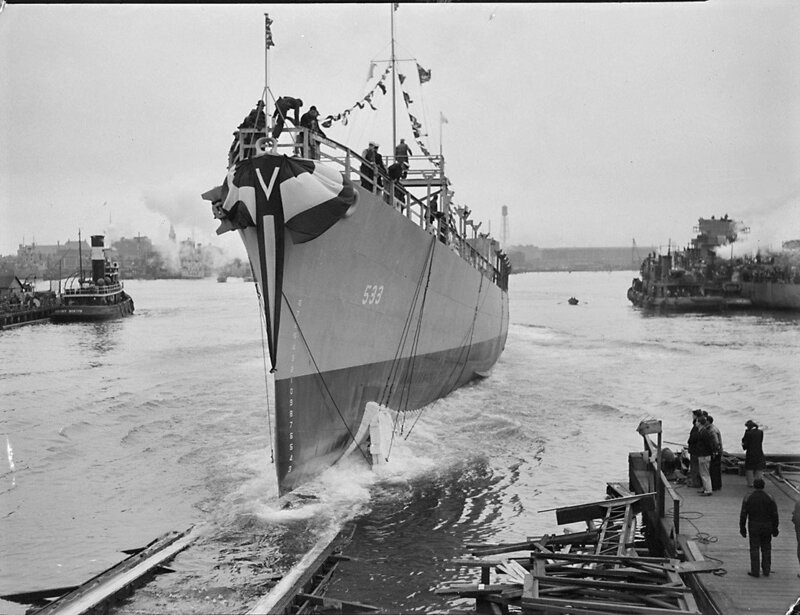 08 October 1943: Keel laid at the Boston Navy Yard, Charlestown, Mass. 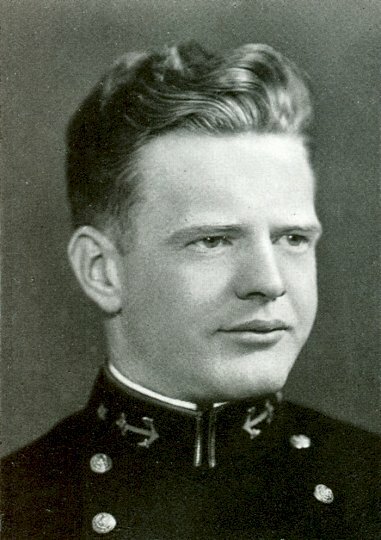 USS Howard F. Clark (DE 533) (1944-1946) was the first ship to be named in his honor. 103k 08 November 1943: Boston, Mass. - The future USS Howard F. Clark (DE 533) slides down the building way into Boston Harbor. 306k This fine bow view shows much interesting detail, including the optical range-finder on the bridge, glass hinged windscreens for the watch officer and captain, and the loudspeaker for the 'squawk box' action communications system which relays directions to the forward gun and Hedgehog positions. Note the single 40 mm Bofors in No.2 position and the Hedgehog behind No. 1 mount. All horizontal surfaces are painted dark colour, probably Sea Blue. Note paint work stripped off by sea right forward. 77k 1972: Photo of mothballed ships moored together in the muddy waters of the Napa River at Mare Island. 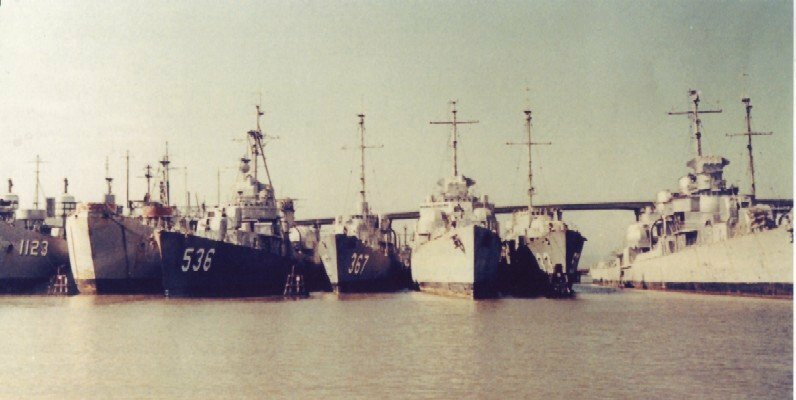 From left are Sedgwick County (LST 1123), an unidentified LST, Owen (DD 536), French (DE 367), an unidentified destroyer, Howard F. Clark, and another unidentified destroyer. 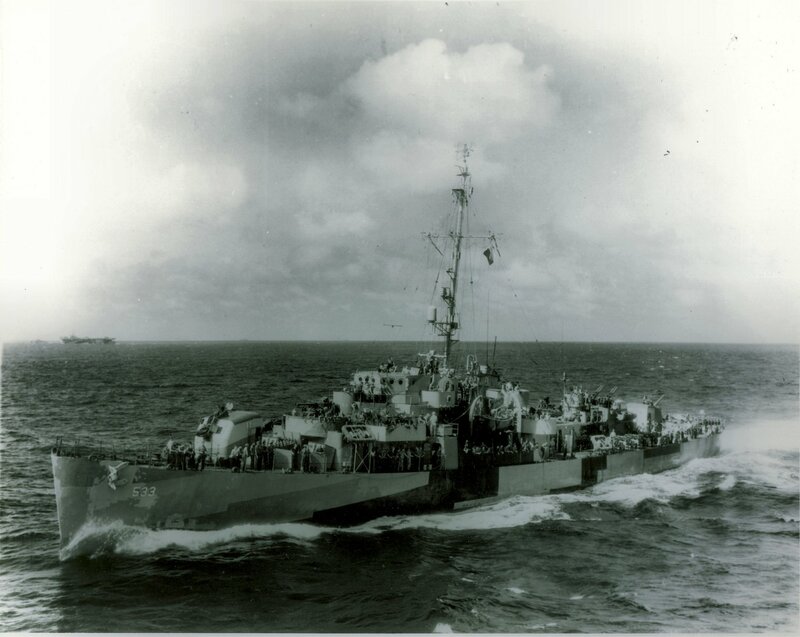 View the USS Howard F. Clark (DE 533) DANFS history entry located on the Naval History and Heritage Command web site. 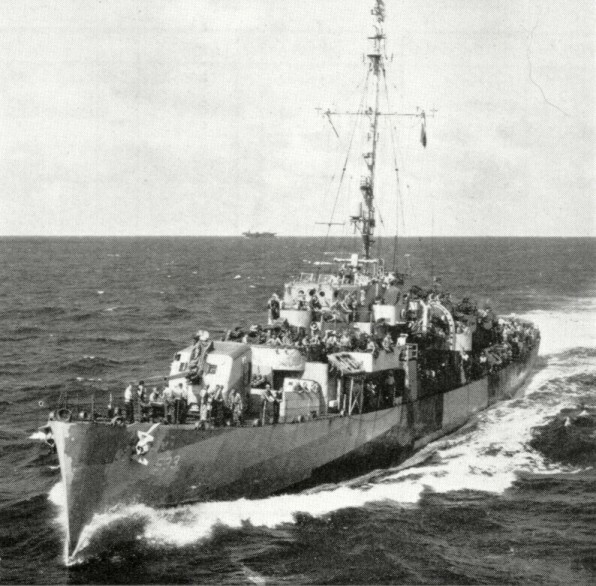 View the official War History of USS Howard F. Clark as submitted by the ship at war's end.